Nowadays, more and more brands request to review creators’ content, captions, tags, and mentions before posting; in order to ensure that everything is in line with the brief and the brand’s goals. Thanks to our Content Approval feature it is possible to get direct feedback from the brand and/or your campaign manager on your uploaded content. This process saves time and groups all the necessary information in one place. In 2019 we are launching year-long collaborations with some of our favorite brands. This exciting new feature will make it possible for you to have more continuous work and consistently earn money. This new type of collaborations will mainly consist of 2 posts a month for a total of 24 posts spread over the course of one year. To help promote the Garment District, we task curious and adventurous New Yorkers who were keen to explore their city and find out what the Garment District had to offer, all the while doing the things they love. Wandering through top-notch restaurants, public art exhibitions and amazing rooftop lounges, and then sharing all of their discoveries and favorite spots online, reaching millions of Americans. When working with The Cirqle, the campaign brief is probably most important piece of a campaign. It summarizes all the characteristics of a creator a brand is seeking and houses all of the necessary information that you as a creator need to know before applying to a campaign. After a campaign begins, you can refer back to the Brief at any time to ensure you are following the brand's guidelines. What do brands see when you apply for a campaign? After you apply for a campaign, the brand will take some time to review applicants. During the selection process, brands evaluate the information and data from your profile on The Cirqle, along with your content style. If you are using your Instagram or Facebook account for promotional activities, here is a tip for you to consider: switch to a Business Account. A business account provides you with information and statistics that help you better understanding what’s happening “behind the scenes” of your profile and your posts. To find out how to switch to a Business account and the reasons why it is advantageous for your business, keep on reading. We interviewed Carina Otero to find out her tips and tricks for working with a community of female travellers. I started She is Not Lost simply for fun, as I personally collected and bookmarked travel photography that I liked when researching a place I planned to visit. When I thought of the name I decided then to create a community in which people can become more engaged and ask other female travelers for recommendations and advice. As the page grew, I began receiving more and more opportunities as an influencer, and have been able to share useful tips and services with my audience through my Instagram and Blog. You could say I got my "start" rather unconventionally, because rather than creating a blog and building a following, I had a following and then created a blog. When and why did you create She is Not Lost? I created the community in September of 2015, simply in hopes of inspiring females around the world to see more beyond their own communities. What is the goal of the community? The goal of the community is simply to inspire. I have always told myself that even if I make one person smile and dream then what I have created is a success. How do you monetize She is Not Lost? I monetize the community with sponsored posts by partnering with companies relevant to traveling females. Additionally, I earn ad revenue for display ads on my blog and website. What's the most exciting thing you've done since starting with She is Not Lost? One very exciting opportunity that I was lucky to participate in was a trip to Sri Lanka, a country that originally was not high on my bucket list, but once I arrived I was so grateful to experience it. Being invited to a new place opened my eyes to experiences and lifestyles that are truly unique and special. What is your favorite destination? and why? My favorite location I have visited was Egypt, partly because I was so impressed by the history of the landmarks in and near Cairo, but also because I was surprised by the beauty of the Red Sea. My trip to Egypt happened quite unexpectedly and spontaneously, and I probably would not have gone if it weren't for my Egyptian friend who invited me. I had been hearing that Egypt was not a safe place for foreigners to visit, but when I arrived I was only greeted by friendliness and graciousness (especially from Egyptians whose livelihood relies on the tourism industry- shop owners, tour guides, and others). I was very grateful for the opportunity to visit Egypt and am looking forward to someday going back to spend more time and dive in the Red Sea! I travel about 1 or 2 weeks a month. Do you have any travel tips for our community? My most important piece of advice is to speak with locals! Do not get so caught up in visiting landmarks and destinations just to take a photo, but rather enjoy the journey and learn something about the people who live in the places you visit. I also encourage my followers to be respectful when taking photos by asking permission, not trespassing and contributing to the businesses that are featured in your photos. For example, if you are at the souk in Marrakech and see a beautiful shop that would make the perfect backdrop for your photo, purchase a souvenir or two and show some friendliness to the shop owner. Not only will you be more welcome to take a photo there, but you will also leave with a nice memento from your travels. What is for you essential when traveling? Lately, I love traveling with my drone to capture photos and see a location from a different perspective. Why do you enjoy working with companies and how do you choose certain collaborations, any criteria? I only choose to work with companies that I personally find useful, and think my followers would find useful. I think my followers appreciate that I choose my partnerships carefully and do not dilute the quality or integrity of my feed with companies that are not reputable or not relevant to travel. Tell us about your biggest personal achievement as a blogger/Instagrammer? Do you have any lessons from past failures others could learn from? Don't get frustrated if you don't see growth or sponsorships right away. Choosing to be a blogger as a career path doesn't always progress in a straight line, and there will be moments when you question if you are really doing the right thing. But if it is something you really want and enjoy doing, your followers will notice and your success will come! Any advice for up and coming bloggers? My advice would be to be real and honest and create a voice that works and stick to it. Consistency is key when it comes to entertaining or inspiring an audience. What social trends are you seeing unfold for 2018? I see a lot of influencers focusing less on staged, glorified, perfected posts and rather sharing with their followers the reality of the situation photographed. This makes the content and connection between influencer and viewer much more relatable, and likely more effective when it comes to partnerships. I am most excited about my recent partnership with a company called Hiptipico, which hosted me during my trip to Guatemala. I got to see how special the locals are and how lovely the country is, so I was already very happy to support a business with an important mission to empower and employ local women. However, just one week after my visit Guatemala was gravely affected by a volcanic eruption. Hiptipico has pledged to support the relief causes long after traditional media stops covering the events, which is why I am happy to continue sharing my experiences traveling through their beautiful country. What did you think about the campaign for Swiss Education? The campaign for the Swiss Education Group was great, everything went smoothly and planning was thorough. I felt as though all of my needs were met and all the support was in place for me to provide the client with the set deliverables. I was very impressed with the level of support provided! I had been on other press trips (not organized by The Cirqle) as a social media influencer, and many details were not tended to- for example I was not given ample time to take photos, and in some instances photos and cameras were not allowed- making it very difficult to share my experience through photography! Traveling with The Cirqle was a breath of fresh air as the experience was clearly well organized. In the last few weeks, a number of The Cirqle’s Influencer’s Instagram accounts have been hacked. To help you be more prepared against hacks, we wanted to provide some tips on keeping your account safe. How does the Instagram hacking work? 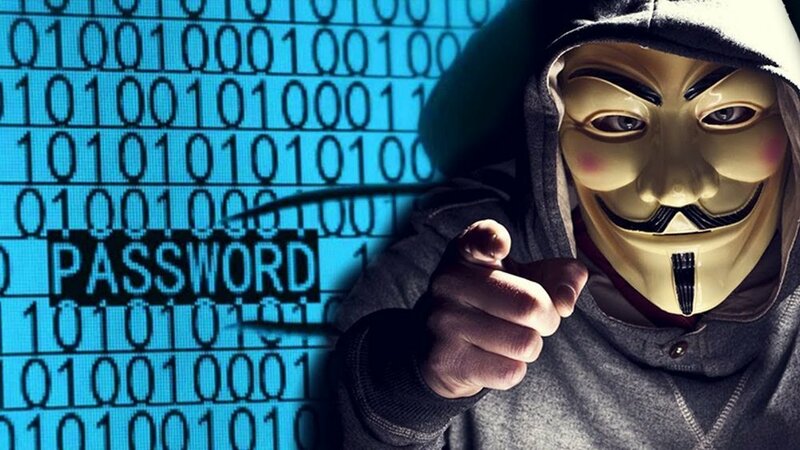 Once your profile has been hacked, the hacker will sometimes immediately change all your credentials (username, password, email, and phone number) denying you the standard recovery process for your account. In order to help prevent this situation from happening to you, we summed up 8 tips from Instagram to increase your security and protect your account. The Password must be 8-16 characters long and include a combination of letters, numbers and punctuation marks. Don’t use your name or birthdate and avoid using any of the 25 most commonly used passwords. Never use the same password for all your accounts and devices! If someone hacks your password he/she will be able to access all your personal data. Too many passwords to remember? Check these two password managers 1Password or LastPass, they could help you out! This is a more recent security procedure implemented by Instagram. How does it work? Every time an unknown device tries to access to your profile, you’ll receive a security code via SMS or Email. You can activate this service from your profile settings. Try to change your email account password regularly or/and use a separate email account for your Instagram profile. Every time you access your Instagram profile from a third parties phone or a computer remember always to LOG OUT and don’t click on the remember me button. Wondering where to find connected third-party apps? Go to your profile settings and click on authorized apps. We interviewed Michelle Williams (NYC-based food & style blogger) to hear her tips and tricks for working with food. I started blogging because I needed a creative outlet outside of work that was just for me. So after work, I started writing about what I did, including tips and tricks to planning my own wedding. Ultimately, I ran out of content and not being a super girly girl, didn't want to hear about and write about other people's weddings so I expanded to all of the elements outside of my 9 to 5 that filled my life. Clothes, Music, Restaurants, Recipes, Cool Things Happening In The City. At some point not too far after that, I switched from a corporate job to a less stable startup. Thinking that I may be a bit too exhausted with the new role to do all of my blogging at night, I decided that narrowing the focus of my blog would make it less daunting. I also hoped that this narrower scope would allow me to learn more about a specific topic. So, I made the decision on the spot. I get dressed every day and I eat every day, so I can be a fashion blogger or a food blogger. At the time, I knew more about fashion so I went the harder route and landed on food. In the snap of a finger I became a food blogger. As time progressed, my blog gained more and more traction. I began thinking I should do it full time but knew I wasn't quite ready to. Then, well, then the startup I was working for got bought out and got rid of all it's current employees. Knowing I'd dive into my next job and give it 100% of my attention, I chatted with my husband and we decided that I should try my little hobby full time and see where it could take me because the worst thing in the world is wondering "what if?". That was three-and-a-half years ago. It's been an incredible adventure of highs and lows since then. I wake up every day and get to take on exciting and creative projects in my own vision. It's a ton of work to make it a successful business but I absolutely love it! Sushi. There's something about a clean cut piece of nigiri with no frills that shows off the fresh high-quality of it's fish. As someone who loves farm experiences and farm fresh food, this experience, when done right, is always exciting to me. What is your personal favorite restaurant, and why? Root & Bone. I haven't really found better Southern Comfort food in the city. Every dish made me happy. From the biscuit crumble on top of the mac & cheese to the perfect crispiness of the fried chicken, or maybe it was the bucket of canned rosé sitting on the table—the mood was unbeatable and the company made it incredibly memorable. What is the easiest food/dish to photograph and why? As time goes by, I've found what angles and styles work for each dish. But if I truly have to think on it, I'd go with spaghetti. There are so many options for how to shoot it. Twirl it on a fork, do the classic pasta pull photo, add some parmesan for some visual texture—there are options which make it a great dish to practice your photography skills on. What is the most difficult food/dish to photograph and why? Any dish that is mostly one color. It makes the image flat. Especially if the restaurant has styled it on a plate that matches the food. It's not your fault if you come out with a bad photo, in this case, you have full right to blame the dish. What are your tips for photographing food? 1. Shoot in natural light or by a window. 2. Make sure your light source is behind you but not so far behind you that you are casting a shadow (unless you are going for a specific shadow style). 3. Don't be afraid to move things around on the plate to make the dish look more photo-friendly. I love working with companies. I come from an advertising background so working with great brands has always been a part of what I do. It's in my DNA at this point. Working with brands allows me to think outside of the box and create content around incredible products that highlight them in fun and innovative ways. Tell us about your biggest personal achievement as a blogger. I have had a lot of amazing opportunities not only come my way but ones that have been catered specifically for me. To work with brands that make me an ambassador of theirs and then getting flown places like Ireland to write about an event or have a booth at The New York Coffee Festival with my company's name embroidered into aprons of hired baristas and written on the walls of a booth—honestly, there are a lot of moments that I take great pride in, it's one of the reasons I love this career choice. The experiences and levels of achievement are unparalleled. Always have a signed contract before committing to a project or event. It doesn't matter how big the company is, there is a chance you can be taken advantage of. I surely was even with email written proof. Cover your bases. It's not awkward. Know, everyone does it. Figure out what your brand is. How you want it seen. What you want to say and stick to it. Don't sway. Even if a great brand reaches out, if they don't make sense for your brand, it's not worth it. Your audience will see through it and you will lose their trust. I've hated saying no to some big brands but sometimes visions don't align and it's not in the best interest of my company in the long run. I don't know about other companies at this point, but my goal for 2018 is to show more of my life in a stylized way that still has a heavy focus on food. I've always done it a bit in the past. Now, I want to pay attention to doing it right with more attention and planning. What did you think about City Marketing for Garment District? I loved this project! As a person who explores New York City on a regular basis, focussing on one aspect of one neighborhood is exciting. I chose to focus on rooftop bars in The Garment District. It made for a super fun cocktail filled adventure while also creating a really useful guide for my readers. The approach I take to knowing food is two fold. One side of it is exploring great restaurants both new and old. The other is recipe development. Yes, I cook! And, well (not to toot my own horn too much). So, a few of the upcoming projects I'm most excited about will be created in the comforts of my own kitchen. To give you a little taste, I'm currently developing a recipe for Jarlsberg cheese where I am creating a savory play on cinnamon buns and am baking up homemade French Onion Buns! They for sure do have that classic spiral but inside are the delicious flavors of a French Onion Soup and they are topped with melted down creamy Jarlsberg cheese.